The production of the Circlism C07 is entirely made by hand. 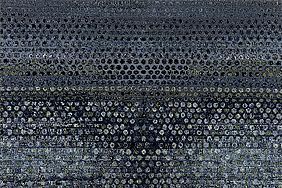 The implementation of circles is one of the most difficult weaving tasks and needs to be made very carefully and accurate. Therefore, each circle is a work of art itself with individual colours. Only the most experienced and skilled weavers are responsible for the production of the Circlism rugs. With the fine knotting of approx. 160.000 knots per square metre, it takes about four month to finish one rug in the Mischioff manufactories in Nepal. 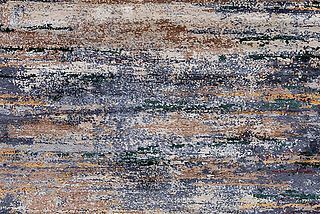 Thanks to the accurate weaving and the high-quality, natural materials wool and silk, the modern masterpieces of the Circlism collection have got a very elegant look and feel. The brand new Circlism Collection has been presented for the first time at the important fairs DOMOTEX and IMM 2016. 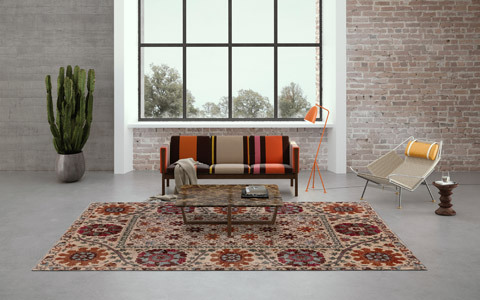 The collection currently shows 18 different and complex rugs with different designs and colour compositions. 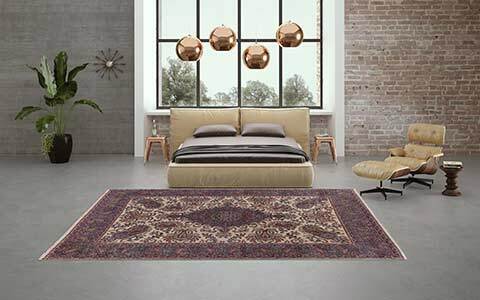 The usual standard size of the Circlism rugs is 300 x 230 centimeters, but you can order them as well in your personal and desired custom size. 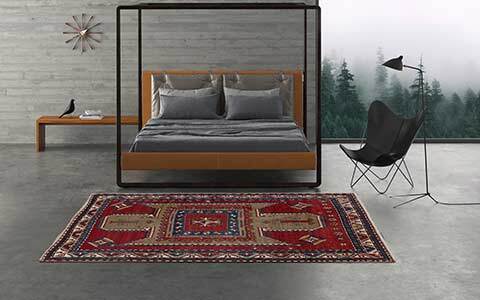 With a pile height of approximately eight millimeters, the rugs provide a pleasant and soft pile. 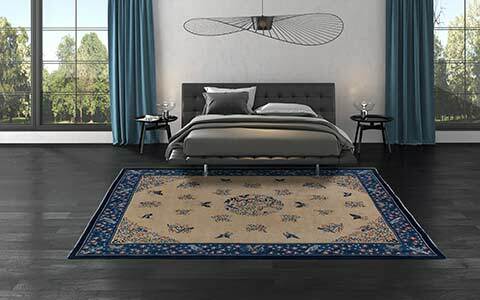 Thanks to the decorative colour combinations, the designer rugs are not only ideally suited for modern interiors, but also in many other decorating styles a real eye catcher. 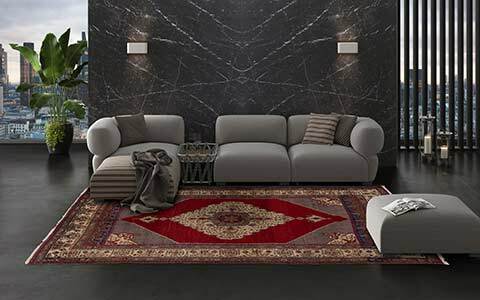 All rugs of the exceptional Circlism Collection bases on the paintings of designer Dani Misio. The model C07 consists of 100% high quality wool from the Himalayan highlands. 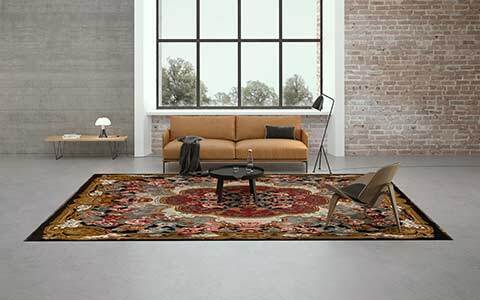 Optionally, you can order the rug with additional silk – actually, the rhythmic play of these arrangements is amplified by the use of the materials wool and silk. The production under fair conditions is a matter of course: As a partner of Label STEP, Mischioff campaigns for fair wages, environmentally friendly production and against abusive child labor. All production steps are controlled and certified in the producing countries by the fair trade Label STEP. 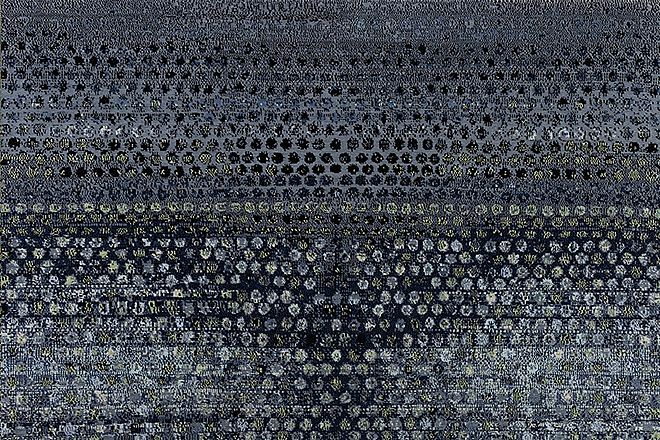 Do you need more information about our rug of the month March 2016 or the rugs of our other collections? Please feel free to get in contact with us – we look forward to hearing from you!